Titan Poker is a relative newcomer to the online poker world, but has done a good job of promoting it's brand and shares players with other rooms on the PlayTech network, so it has grown a decent player base fairly quick. Because much of the traffic has crossed over from Playtech casinos, it is largely frequented by beginners who are new to the game of poker and mostly playing Texas Hold'em, making it an ideal venue for novices to use (or for sharks to go fish hunting). 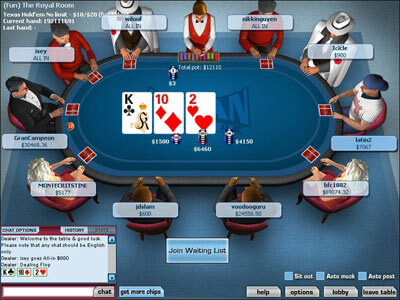 As a whole, Titan Poker has some nice looking software that plays well and has a good set of features. Unfortunately, the game selection is less impressive; the only three offered are Hold 'Em, Omaha, and Omaha Hi Lo. There's a noticeable absence of 7 Card Stud altogether. This may have been intentional or temporary to focus players on Hold'em tables during their start up period, but if you like to mix up your games it's not a great choice for diversity. If you're just playing Texas Hold'em on lower or middle limits, Titan Poker is a fun room to check out and a good place for new players; thanks to intuitive software and some less than stellar competition. 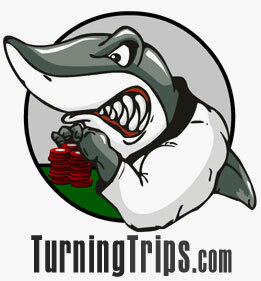 This also makes it a good place to profit at the low to mid-limit Texas Hold'em tables if you've got the skills. Another perk for new players, Titan has a great support system. They offer toll-free phone numbers and a very helpful support staff for players to call at anytime. 50% first deposit bonus for new players (up to $200 free).